A carte de visite of A.P. Stafford, 1st Alabama Infantry, from the John Sickles collection. His story appears on page 38. The editor explains that an unfortunate delay caused by a computer crash caused the issue to be delayed. He thanks supporters and sends best wishes for the New Year. Two books receive favorable reviews. Union Army Colonels of the Civil War: Pennsylvania, New Jersey, Maryland, Delaware and the District of Columbia (Stackpole Books) by Roger Hunt is the third volume in the Colonels in Blue series. Confederate Uniforms at Gettysburg (C.W. Historicals) by Michael J. Winey follows his 1998 book, Union Army Uniforms at Gettysburg. Steven Karnes purchased his first image at a flea market in 1999 and collects hard images and cartes de visite. A total of 19 representative images from his collection are included here. All are Union soldiers, and several are identified: Pvt. William Davenport of the 52nd Illinois Infantry, Pvt. Charles Rodd of the 128th Ohio Infantry, Pvt. Sylvester Strong of the 20th Wisconsin Infantry, Lt. William D. Burkholder of the 7th Pennsylvania Reserve Infantry and Pvt. William H. Peiffer of the 95th Pennsylvania Infantry. 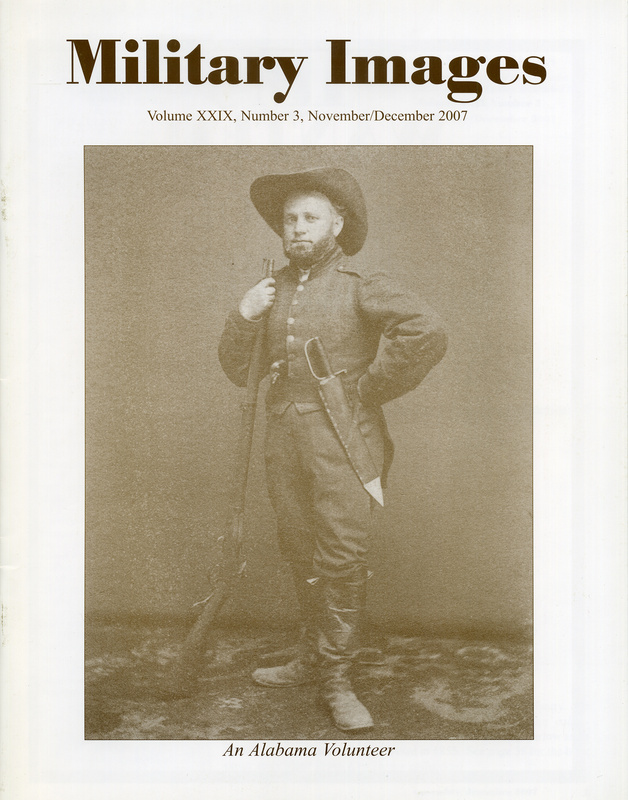 Babbitt, major of the 10th Rhode Island Infantry, was mortally wounded at Marye’s Heights during the Battle of Fredericksburg on December 13, 1862. The author details his life and military service, illustrated with pre-war and wartime views of Babbitt, a post-war Grand Army of the Republic ribbon and a postcard of the G.A.R. post hall named in his honor. Two horn players and two drummers, all Union musicians, compose this images survey. One man is identified: Jonathan Greenwood of the 33rd New York Infantry. Subtitled “Five Patriotic Rhode Islanders Fight to Preserve the Union,” the author provides vignettes of brothers: Daniel H. Greene of the 4th Rhode Island Infantry, Edward Whipple Greene of the 1st Rhode Island and 29th Massachusetts infantries, Dr. Jerome Bonaparte Greene of the 1st New York Artillery and the 5th Rhode Island Heavy Artillery, Dr. Willard Hendrick Greene of the 12th Rhode Island Infantry and Henry Atwell Greene of the 1st California and 2nd U.S. infantries. A group portrait of the brothers illustrates the text. A sixth-plate ambrotype from the J. Dale West collection pictures Pvt. Amasa V. Going of the 12th Louisiana Infantry. 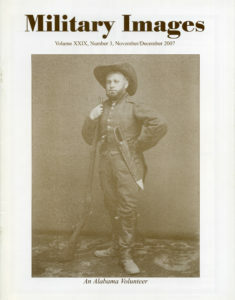 In “Independent Company of Cadets, Massachusetts Volunteer Infantry ‘Boston Cadets,’” McAfee recognizes the 200-year military history of the organization as “an example of the American militia tradition.” He goes on to trace their history and describe their uniforms, illustrated with four carte de visite portraits: Frederic Dexter, Henry L. Pierce, John A. Burnham Jr. and John W.M. Appleton. Details of the lives and military service of subjects A.P. Safford and Francis C. Barlow. Pvt. Joseph A. Trowbridge of the Eighth Company, New York State Militia, dressed in winter gear at Camp Cameron in Washington, D.C., on our about May 20, 1861. Salt print from the Ken Turner collection of future Union Gen. Francis C. Barlow, as he looked upon his graduation from Harvard in 1855.